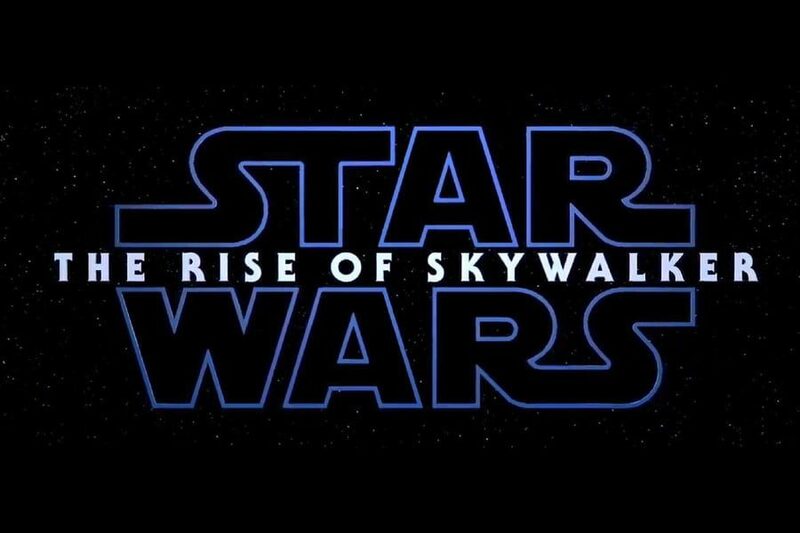 Well, we finally know what Star Wars: Episode IX is going to be called and it’s going to be The Rise of Skywalker! The title was revealed at Star Wars Celebration in Chicago just a few minutes ago, and oh yeah. THERE WAS ALSO A TEASER TRAILER! The teaser was great because it gave us some scenes, and oh…there’s a laugh in it that will make you smile with joy and make the hairs on the back of your neck stand up. So how about that trailer? Man, I love Star Wars movies and the trailers they provide. Making me excited like i’m 5 years old again. Every single time. The trailer opens up with Rey squaring off with Kylo Ren’s ship, then we see cuts of Rey hugging Leia (*crying*), Poe, Finn and others on a barge type of ship in the dessert, Kylo Ren cutting down some people while brooding still, Lando(!) and Chewie flying the Millennium Falcon, and the group looking at a down thing on a planet.that thing, Death Star II. Hmm, wonder why? Details and info has been limited with the last Skywalker saga movie but we finally got a glimpse of some footage and heard from the actors that are going to be in the movie on the panel. According to Disney head honcho, Bob Iger, Star Wars movies will be going on a bit of a hiatus for a bit and it’s probably a good thing. We’ll still get The Mandalorian on Disney+ in November though. Star Wars: Rise of the Skywalker is directed by J. J. Abrams and stars Daisy Ridley, Adam Driver, John Boyega, Oscar Isaac, Lupita Nyong’o, Domhnall Gleeson, Kelly Marie Tran, Joonas Suotamo, Billie Lourd, Naomi Ackie, Richard E. Grant, Keri Russell, Mark Hamill, Anthony Daniels, Billy Dee Williams and Carrie Fisher. Previous: James Gunn Re-Hired To Direct & Write Guardians of the Galaxy Vol. 3!! !